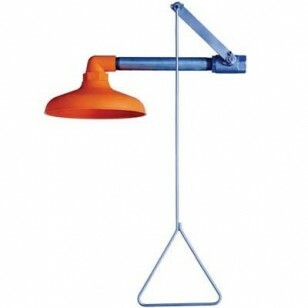 This Guardian emergency shower is easy to spot with its orange color. The emergency shower can be connected directly to existing water pipes in either the ceiling or on a wall location. This is an easy and economical solution for those needing an emergency shower. Emergency shower has an ABS plastic head, stainless steel pull handle and stay open ball valve for a continuous flow of 30 GPM at 30PSI.